With its funding plans clearer, South Florida passenger start-up Brightline is looking west for its next venture into private high speed rail. 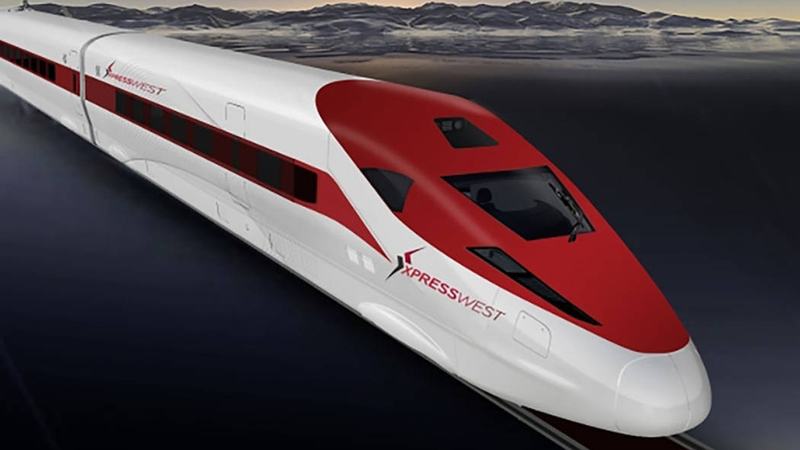 Brightline on Tuesday said it had acquired XpressWest, a high-speed passenger rail project with rights to develop a federally approved corridor connecting Southern California and Las Vegas. The project would be only the second privately funded intercity passenger rail in the United States after Brightline. Less than 300 miles away, The Strip’s hotels and casinos have long been a getaway destination for visitors from California. 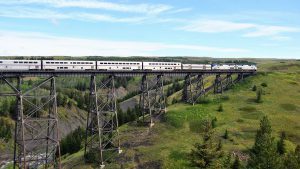 Proposals for high speed rail go back decades, most recently the Las Vegas Railway Express, or X Train, a 2010 start-up that had received state approval, issued stock, and purchased passenger cars before being discontinued in 2016. 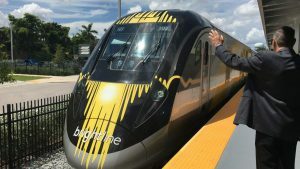 Earlier this month, the Florida Development Finance Corp. approved Brightline’s request to act as a conduit for the issuance of $1.75 billion in Private Activity Bonds to finance construction of rail infrastructure in Miami-Dade, Broward, Palm Beach, Brevard and Orange counties for Phase 2 of the higher-speed passenger rail system. Phase 2 covers construction of the true high speed line to Orlando. Brightline currently operates higher-speed passenger service between Miami and West Palm Beach limited to 79 mph. 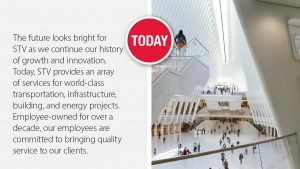 The company hasn’t said when it will be able to break ground on Phase 2. 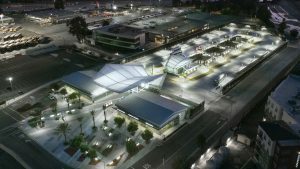 The XpressWest deal will potentially enable Brightline to link one of the most traveled routes in the country, connecting more than 22 million people living in Southern California with Las Vegas, one of the most visited cities in the U.S. Brightline quoted ridership studies as finding travelers make more than 50 million annual trips between Las Vegas and Southern California. Today those travelers are limited to traveling by air or highway; Brightline expects to make the trip in less than two hours. High speed rail is also expected to benefit from the move of the NFL’s Oakland Raiders to las Vegas in 2020. As a result of the acquisition, Brightline will take over the development, construction and operation of the project and work with federal and local transportation officials to connect Las Vegas with Victorville, Calif., 200 miles away, with future plans to expand into the Los Angeles area. The first phase of the corridor is expected to be built on a right of way within and adjacent to Interstate 15, traversing 185 miles with no at-grade or pedestrian crossings. Construction is expected to begin in 2019 and Brightline is planning to begin initial service in 2022. Union Pacific and BNSF maintain mainline operations in the vicinity, including from Southern California through Cajon Pass through the San Gabriel mountains to Las Vegas, among other destinatons. It’s unclear whether Brightline, which operates on sister company Florida East Coast Railway’s track in South Florida, intends to negotiate agreements for use of those lines. Brightline said it is in the process of acquiring 38 acres of land adjacent to the Las Vegas Strip for construction of mixed-use development and an intermodal hub with access to taxis, buses, shuttles, and limousines. The first Southern California station is planned for Victorville, a 30- to 45-minute drive for 4-5 million people who live in the Inland Empire and eastern Los Angeles County, and within reach of Southern California’s remaining 17 to 18 million residents. Planning for additional stations and connections, Brightline said, to the Metrolink commuter rail system – and eventually California high speed rail – is underway.